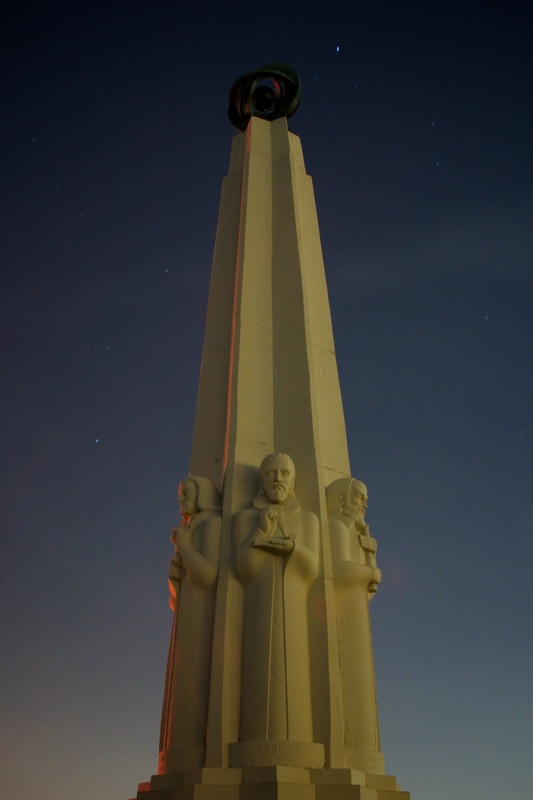 Did a quick snap of the Astronomers Monument in the front lawn of Griffith. This was the night of the full moon so I was in a great battle against a large crowd of people walking in front of the camera, the full moon lit sky, light pollution and summer atmosphere. Still came out okay.